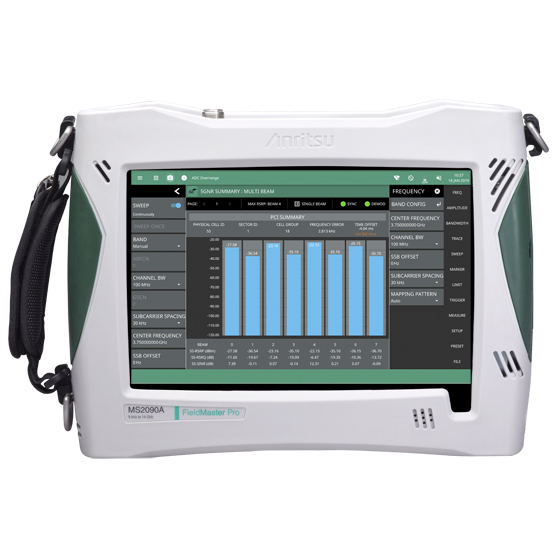 Anritsu’s Field Master Pro MS2090A RF spectrum analyzer delivers performance never previously available in a compact, handheld instrument. 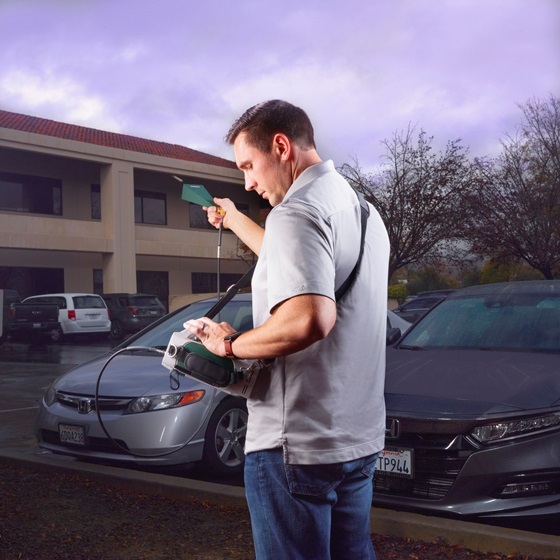 With continuous frequency coverage from 9 kHz to 54 GHz, the Field Master Pro MS2090A is specifically designed to meet the challenges a full range of other wireless technologies in use today, including: 5G, wireless backhaul, aerospace/defense, satellite systems, and radar. The Field Master Pro MS2090A delivers the highest levels of RF performance available in a handheld, touchscreen spectrum analyzer, with a displayed average noise level (DANL) of -164 dBm and Third Order Intercept (TOI) of +20 dBm (typical). This makes measurements such as spectrum clearing, radio alignment, harmonic, and distortion even more accurate than previously possible. For modulation measurements on digital systems, 100 MHz modulation bandwidth coupled with best-in-class phase noise performance maximizes measurement precision, while ±0.5 dB typical amplitude accuracy provides confidence when testing transmitter power and spurious. 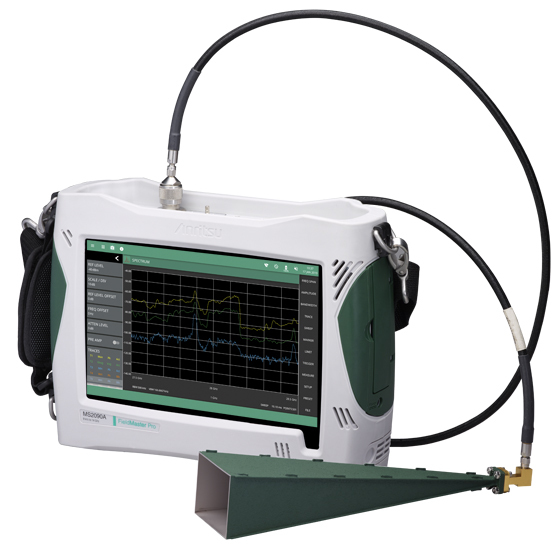 Ruggedized for field use, all versions provide a comprehensive range of features to speed and simplify measurement, as well as enhance usability. RTSA spans of 20 MHz (standard) to 100 MHz (optional) provide capability for cellular interference monitoring to full ISM band signal analysis. 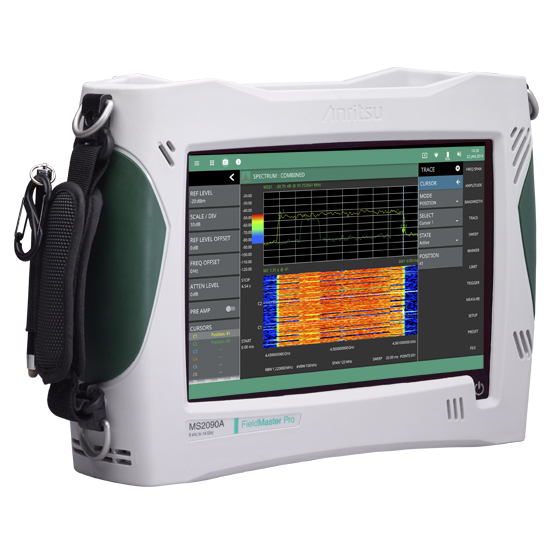 In addition to being a full span swept tuned spectrum analyzer, all versions include a spectrogram display that helps monitor the RF spectrum for intermittent or interfering signals. Integrated channel power and occupied bandwidth measurements simplify the measuring and characterizing of common radio transmission. IQ data capture of 5G frames enables the capture and saving of IQ data for off-line processing on a PC using standard data analysis tools. 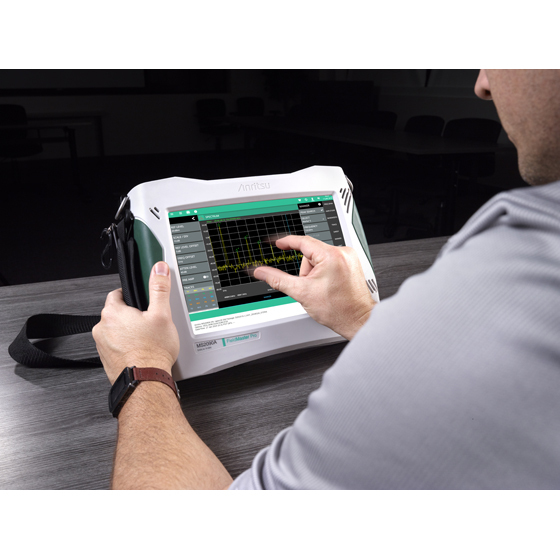 Delivering the highest levels of performance available in a handheld RF spectrum analyzer, the Field Master Pro MS2090A instrument gives field engineers and technicians unparalleled measurement accuracy previously reserved for only benchtop instruments. Interference hunting and spectrum clearing networks – fast sweep speeds, low distortion front-end, and spectrogram display help deploy new network efficiently, ensuring spectrums are clear and validating that all legacy users have stopped all transmission. Microwave radio links – with a frequency option up to 54 GHz and exceptional sensitivity for dish alignment, power and modulation bandwidth can be verified during installation or maintenance testing with a waveguide horn antenna. 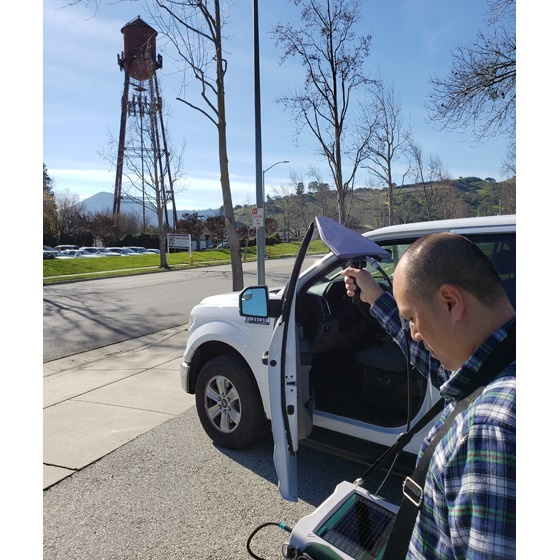 5G coverage mapping – receive a clear representation of the signal strength of 5G transmitters over intended geographic area by continuously measuring RF data – including 5G channel power, EIRP, or RSRP – with results graphically displayed on a digital map or building floor plan.